SAINT PAUL, Minn. | October 12, 2018 – Power-pop / indie-rock band The Persian Leaps released their album Pop That Goes Crunch today. In a unique forging of their own path, it comes as the band’s debut full-length, but also as an 18-song “best of” anthology release. A selection of seventeen choice tracks were taken from across the band’s five EPs, and revisited with full remix and remastering work, alongside re-recorded sections. 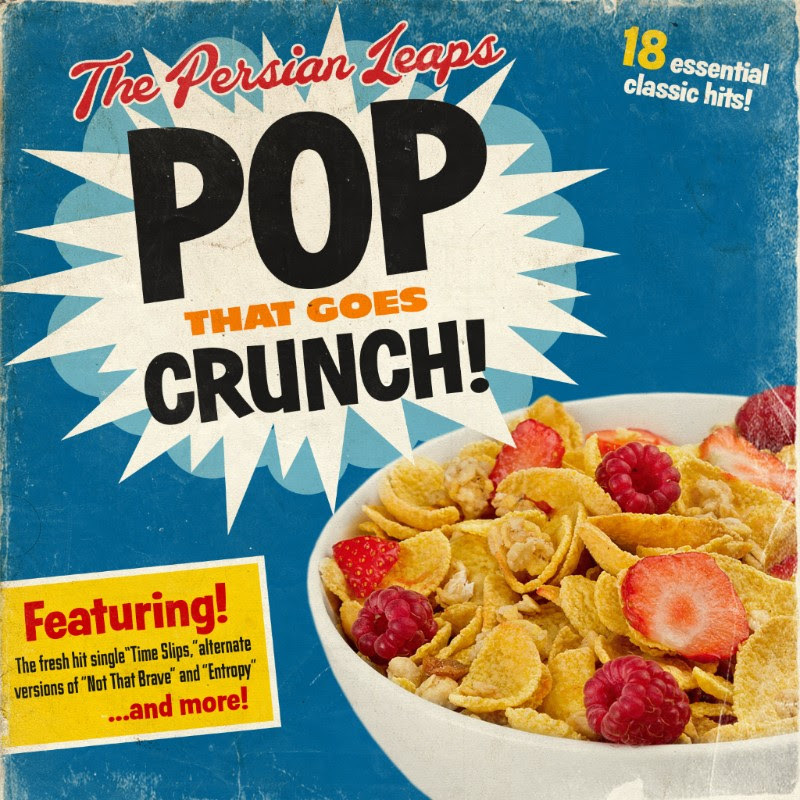 Glide Magazine premiered the release, saying “at times blistering and raw, and polished at others, the album captures the full spectrum of The Persian Leaps.” Pop That Goes Crunch is a reflection and celebration of the band’s music to date. The only brand-new track on the record comes with the single “Time Slips”. Bittersweet and nostalgic, Forsberg wrote the track in reflection of his grandparents. Close to them as a child, he found himself drift away from them in the day to day hustle of adult life. On their passing, he found himself regretful that he wasn’t more involved in their lives. Full of fuzz-guitar and harmonic vocal melodies, it’s a catchy yet moving track that fits right amongst the collection. Although it may be an anthology of sorts and untraditional approach to a debut full-length, Pop That Goes Crunch provides a perfect introduction to The Persian Leaps sound for new listeners. It also marks a transition for the band, who have announced they will now be operating as a studio-only project. Always punctual and ambitious in their release schedule, Forsberg disclosed, “we’ll release a full-length of new material in the fall of 2019, with another full-length likely in 2020.” Pop That Goes Crunch was released via Forsberg’s label Land Ski Records, and is available everywhere today including Spotify, Apple Musicand Bandcamp. Physical CD’s can be ordered via Bandcamp as well. The Persian Leaps” began as a phrase singer/guitarist Drew Forsberg doodled in a notebook margin during a college Greek Archaeology course. He wrote music independently under that name for years, until finally assembling a full band in 2012 to perform and record driving, chiming music influenced by The Smiths, Guided by Voices, and Teenage Fanclub. The Persian Leaps have adhered to a disciplined schedule of concise releases: each fall bringing an EP of five songs totaling fifteen minutes or less. In 2013, the Persian Leaps released debut EP Praise Elephants, which NME Magazine described as a “celestial guitar jangle”. The band completed a follow-up EP Drive Drive Delay in 2014, praised by XS Noize for it’s “instantly catchy melodic harmonies layered on top of droning guitar.” In 2015, the band released High & Vibrate, an EP championed by The Big Takeover for its “big-time hooks, upbeat attitude, classic power-trio punch.” 2016 saw the release of Your City, Underwater, which earned a spot on The Big Takeover’s Top 30 EPs of 2016. In September of 2017, the band’s fifth EP Bicycle Face was delivered yet again to fan and critic praise. Named for a 19th-century medical condition concocted to scare women away from biking, Bicycle Face was described as a “perfect power pop cocktail” by 50thirdand3rd.